MHWirth in Brief MHWirth is a leading global provider of first-class drilling solutions and services designed to offer our valued customers with the safer, more efficient and reliable alternative. Our knowledge and technologies span from reservoir to production and through the life of the field. Our company vision drives an unparalleled commitment to quality and major economic advantages for our customers and stakeholders. With a remarkable legacy founded more than a century ago, MHWirth has transformed into a brand reflective of our robust company strategy and compelling ambitions. Our reputation is preserved through a winning combination of values, people and innovative technologies, proven by a respected track record and a vast collection of customer success stories. 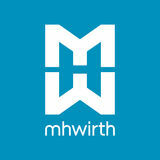 MHWirth has a global reach covering five continents with offices in 12 countries. Drawing upon our global market success, we continue to seize opportunities through an established strong regional presence. Our dedicated professionals consistently strive to enhance customer satisfaction and form meaningful collaborations by creating a personalized experience. MHWirthâ&#x20AC;&#x2122;s values are a testament to our commitment to each other, our customers and our stakeholders. We strive for excellence without compromising on integrity. These six values serve as a roadmap towards cultivating a positive workplace and fulfilling our corporate strategy with pride. Our brand proposition is empowered through the consistent adoption of these values. MHWirth has a long-standing legacy of providing single equipment sales and services to semi-submersible rig owners. MHWirth’s drillship concepts are a flexible solution that enable you to compete and meet the demands of a highly competitive offshore landscape. With field-proven concepts and a variety of hull designs, our equipment base is operating in a global offshore environment. Our fit-for-purpose rig concepts have been developed in conjunction with the vessel designers giving you the best design to meet the needs of your project. Our designs are based on our long-standing expertise helping you operate in some of the harshest conditions in the world. Our comprehensive product portfolio, includes semisubmersible packages with conventional drawworks hoisting systems or a RamRig™ solution. Our global team of engineers enables you to create a package to suit your hull design and provide 24/7 operational support and spare-parts. We understand that no two drillships are the same and that’s why we have a flexible equipment base and the ability to tailor-make solutions to meet your operational and performance needs. Our long-standing relationship with key vessel designers make us a powerful collaborator when it comes to engineering a drillship concept to operate and perform in today’s market. MHWirth’s jackup concepts perform drilling and workover operations in just about every environment worldwide. Our platform rigs are standardized, cost effective and engineered to meet the current market conditions. We have field proven concepts, delivered to suit a large variety of hull designs. The concepts are proven on harsh, North Sea winter operations. with several variations designed to operate efficiently in benign waters with high temperatures. Armed with a robust design, our platform rigs are fit-for-purpose and ready to operate in any offshore environment and with an integrated system approach, we ensure you with consistent functionally for the life of the operation. Our product portfolio is flexible and with an engineering team we are capable of creating packages to suit any type of hull design. 2 | Engineering Services Integrated Drilling Solutions Engineering services is a strong differentiator for MHWirth, especially for non-standard rig packages. With more than 40 years expertise in design of drilling facilities and a highly skilled organization with over 100 people, we are a market leader in cold and harsh climate design and engineering. With a global in-house engineering team, we are able to adapt our fixed installations to meet your specialized needs and operational requirements and have the unparalleled capability to take on both full engineering and system responsibility providing you with the best drilling technology for your operations. We collaborate with leading shipyards and drilling companies on a global basis and assist most of the leading oil and gas services companies. 3 | Structures and Traveling Equipment RamRig™ Used for both floating and fixed installations, MHWirth’s RamRig™ technology eliminates the need for a large derrick with a drawworks, drillstring compensators, etc. improving the overall economy of the offshore field development. This is the most optimal rig alternative currently available in the marketplace and dramatically reduces the “add-on” philosophy of current rig concepts. With its field-proven track record, our RamRig™ technology is a state-of-the-art drilling solution that provides dual rig functionality at a lower total operational cost. 3 | Structures and Traveling Equipment Derricks and Masts Derricks and masts are vital structural fixtures to a drilling operation. They support the top side drilling equipment set, enabling the equipment to function the way it was engineered to. Each of MHWirthâ&#x20AC;&#x2122;s derricks and masts are customizable and dynamically designed to suit the specific performance goals of your operation. Our derricks and masts are manufactured to meet quality standards required by global certification societies providing you with worry-free operations. Traveling Equipment Steeped in field proven designs that meet classification society standards, our comprehensive traveling equipment product portfolio ensures you the structural integrity, safety and reliability you have come to count on during critical rig operations. Smooth operations, easy access to all components and builtâ&#x20AC;&#x201C;to-suit pieces, our traveling equipment is a powerful collaborator when it comes to working with increased weight in harsh operating environments. 3 | Structures and Traveling Equipment Crown Blocks Robust and field-proven crown blocks ensure efficient hoisting of high loads, even in rough offshore conditions. Our high performance crown blocks combine a strong focus on HSSE and ergonomics. The system consists of a crown block sheave cluster, fast line idler sheaves and dead line idler sheaves and all three units are bolted and located on top of the derÂ­rick or mast. 4 | Drilling, Make and Break Top Drives MHWirthâ&#x20AC;&#x2122;s field-proven top drives are designed to perform safe, effective and uninterrupted operations for both conventional and RamRigâ&#x201E;˘ solutions; on land and offshore installations. Remote controlled and fully integratable with any anticollision systems, our top drives preserve maximum operational safety and offer the flexibility needed to suit any derrick design for both left hand, right hand and center located service loops for interfacing the majority of the rig designs. The various top drive series offer compact and modularized design, with the highest torque available in its class at a competitive prize. Our top drives are electrically or hydraulically powered machines with hoisting capacities ranging from 350 to 1500 short tons. 4 | Drilling, Make and Break Roughnecks MHWirthâ&#x20AC;&#x2122;s roughnecks are the product of a 30 year legacy of field experience combined with rigorous design and development. Featuring proven dependability and high performance, our roughnecks facilitate drilling operations by providing safe and reliable connections for drill pipes, drill collars, casings, cross-over subs and other bottom-hole assemblies. From remote to locally controlled, our roughnecks allow maximum handling flexibility without jeopardizing safety factor during make-up and breakout operations. Based on a universal design and our modular portfolio, our roughnecks can be integrated into any anti-collision system, new builds or retrofitted onto existing rigs. Our comprehensive roughneck portfolio provides modularized solutions to meet your specific project requirements, for high-end land rigs, s, semi-submersibles or drillships, in the harshest environments, with torque capacities up to 300 000 Nm. 4 | Drilling, Make and Break RamRig™ The award winning RamRig™ technology is the ultimate solution for deep-water operations, providing dual rig functionality to achieve optimal drilling time. MHWirth’s RamRig™ solutions have successfully operated in international waters, particularly in harsh environments and ultra-deep water areas. The system comes equipped with a fully integrated compensation system and the concept’s inherent features make it especially effective on ultra-deep water rigs and well intervention operations with high performance requirements. The RamRig™ technology is capable of racking double, triple and quadruple stands with hoisting capacity ranging from 150 to 2000 short tons. With this solution changing gears is done at the touch of a button from the operator chair. This allows the operator to change lifting capacity and hoisting velocity in a matter of minutes. 4 | Drilling, Make and Break Drawworks MHWirth’s field-proven drawworks are part of our proud product heritage and with a well-balanced ratio between load and speed, our drawworks allow for faster tripping and stand building operations. Our drawworks’ direct water cooled motors reduce service costs and increase HSSE while our dual independent disc brake system secures safe working conditions. We deliver drawworks with redundant instrumentation and control systems for maximized availability and our active heave compensation drawworks functionality is available for single gear drawworks. For land operations, we have engineered drawworks with a smaller footprint and lighter weight design to allow easy transportation and quick rig moves. Back-up Stabbers MHWirth’s back-up stabbers meet the performance requirements needed to perform back-up operations when high stick-up requirements are needed. Fully integrated into any anti-collision system, our back-up stabbers ensure the highest safety factor in drilling and are fully retractable when not in use. With simple installation, high flexibility and low maintenance, our back-up stabbers suit any derrick design and allow for both remote, as well as local manual control for all functions. Our drawworks are available with hoisting capacities ranging from 300 to 1500 short tons. 4 | Drilling, Make and Break Rotary Tables Serving as a backup system to the top drive and supporting make and break operations, MHWirth’s rotary table provides the power you need to turn the drill string and is designed to carry the weight of the drill string when making up a new connection. We offer state-of-the-art hydraulically and electrically driven rotary tables for on- and offshore applications that can support load capacities ranging from 500 up to 1500 short tons. Mud Buckets MHWirth’s mud buckets are used to safely transport mud away from the drill floor during wet tripping and break-out operations. Our mud buckets are remote controlled and fully integrated into all anti-collision systems allowing you to put operational and personnel safety first. With a straightforward design, our mud buckets allow for efficient installation and removal and can be optimized with the use of optional hydraulic or electric quick connectors to increase safety in hazardous area. Seven different size seal kits ensure that mud spills are kept to an absolute minimum. Our mud buckets are also available as part of an integrated module on our complete line of roughnecks. 4 | Drilling, Make and Break Catheads MHWirthâ&#x20AC;&#x2122;s catheads are a compact and highly reliable solution for make up and break out operations of drill pipe and drill collars with rig tongs. Our remote controlled operation ensures the highest caliber of safety during drilling operations and with its small footprint and integrated valve cabinet, our catheads fit easily into any drill floor layout. Available in pneumatic and electrical versions, our catheads can be installed in pairs or in a single configuration design. Slips Eliminating the need for personnel in the red zone, our unique slips frame facilitates the safe, easy and reliable remote operation of manual slips from various suppliers. MHWirthâ&#x20AC;&#x2122;s slips frame is operated by a pedal valve in the drillerâ&#x20AC;&#x2122;s cabin and other strategic locations on the drill floor, away from red zone, ensuring the safest working environment for the rig crew. 5 | Handling Equipment and Cranes Horizontal Pipe/Riser Handling Equipment Our tubular feeding machine (TFM) and riser feeding machine (RFM) efficiently transport tubulars and risers, and perform general material handling to and from the drill floor. Pipe and casing can also be transported. The riser is delivered to the RFM on pipe deck and transported directly to the top drive at well center. The RFM trolley follows and supports the lower end of the riser with constant tension (or free-wheeling) function during hoisting up to vertical position inside the derrick by the top drive. The machine can be equipped with a radio control. Adapters for risers without buoyancy, slip joint, diverter, flex joint and spider/gimble are included if applicable. Vertical Pipe Handling Equipment MHWirth’s comprehensive pipe handling equipment portfolio is the key to maximizing uptime and maintaining competitive operational speed. Stand building and tripping in/out are two of the most critical operations on the rig, and our pipe handling equipment provides the precise control needed to complete these acute manoeuvres. During critical operations, our pipe handling equipment is capable of covering all pipe and casing ranges needed to maintain the speed of your operation without any lost time. The operations are controlled from the driller’s control room (DCR), or individual pipe handling cabins, by means of CCTV cameras, DrillView™ technology and direct operator overview. 5 | Handling Equipment and Cranes Cranes and Lifting MHWirthâ&#x20AC;&#x2122;s cranes and lifting equipment make transferring bulky risers and joints of pipe to their feeding machines a smooth, efficient and safe operation with minimal personnel involvement. Not only are our cranes and lifting equipment easy to maintain, but they also feature user-friendly control and automation systems to help maintain the speed and uptime of your operations. Our cranes and lifting equipment provide you with a robust, user-friendly intuitive way to transport critical components (riser, drill pipe, casing, drill collar, BOP/ X-mas tree, and material in general) during drilling operations. Intelligent automation ensures optimal load handling on both fixed and floating installations. Hydraulic Power Units Lifting operations require powerful, directional force as well as repeated heavy, systematic lifting. That is why MHWirthâ&#x20AC;&#x2122;s hydraulic power units (HPU) are designed to generate a tremendous amount of power to help you push your crane and lifting operations to their maximum capacity, while maintaining a highly precise operation. Engineered to support all drilling operations consumption areas, our HPUs are capable of keeping you covered whether you are handling riser joints or landing a BOP. Our HPU portfolio is suitable for a wide range of operational needs from small stand-alone HPU units for single equipment, up to larger ring-line HPU units requiring support for several simultaneous operations. 5 | Handling Equipment and Cranes Winches Safe and reliable lifting of various loads are essential for both, offshore and onshore applications. Our broad portfolio of utility, guideline and manrider winches meet your project requirements in a large variety of drilling layouts. MHWirth winches are prepared for condition based maintenance, tracking real use of the equipment instead of traditional calendar based maintenance. Remote control panels ensure full control of the winch system as well as flexible and safe operation. Our system’s built-in features and durable construction secure your assets’ operational integrity, whilst preserving ease of handling and cost-efficiency. Access Baskets Our standardized and proven access basket design provides safe access and man-riding when performing maintenance and/or working tasks iin places which are difficult to reach. Putting safety as an aspect during operation the basket has a flexible remote control stand with an easy to use emergency stop. Installation is possible in derrick, moon pool and other areas in less than 10 hours. 6 | Motion Compensation Systems Tensioners Our riser tensioners support the marine riser and compensate for any motion induced by the floating vessel. A wide range of models and configurations allows for a high degree of layout, performance, and weight and cost optimization. MHWirthâ&#x20AC;&#x2122;s riser tension systems are designed by our experienced tensioner engineering team and are equipped with state-of-the-art anti-recoil and control system offering outstanding performance and dependability. Capable of simulating your specific rig layout and design, we provide precise calculations to define the tensioner type, system and design best suited to meet your operational needs. Every component has been specifically designed to deliver superior life expectancy and low tension variation. 6 | Motion Compensation Systems Compensators Maintaining a constant weight on bit (WOB) is critical for efficient drilling operations and extending the life of the drill bit. MHWirthâ&#x20AC;&#x2122;s drillstring compensators compensate for rig movements and apply a constant tension in the drill string as well as constant force on the drill bit. Our drillstring compensators are designed to give low dynamic and static friction even in rough weather conditions, giving improved performance when drilling in an extended weather window. Our compensators have a unique geometrical design with no sheave rotations during compensation, extending the lifetime of the drill line and reducing friction in the system. During locked to bottom operations, the compensators are designed with a true locked open functionality and additional cushioning to prevent incidents. 7 | Control and Automation Operator Environment MHWirth’s operator environments are designed to ensure safe, efficient and reliable working conditions and operations. The design, components and materials of our driller’s control cabin, the operator chair and CCTV focus on providing you with the highest degree of safety while keeping maintenance to a minimum. Our ergonomic operator chair has a small footprint and allows for maximum utilization of available space without compromising on quality. Our DrillView™ control and automation system is fully integrated with our CCTV system, which provide highdefinition digital pictures for use during equipment operations and surveillance. 7 | Control and Automation Human Machine Interface - Hardware Products The MHWirth control system is connected via a fiber optical drilling network with redundant design. Our secure network ensures that the system is highly resistant to external threats such as malicious software and unintended intrusions. Redundant DrillView™ servers and domain controllers ensure stable operations and storage/retrieval of data. Backup and recovery is easily accessible via a separate backup server. Several different designs of DrillView™ clients are available both for office and outdoor use. They are also available in an EX version for hazardous areas. Remote radio control is available for a range of machines both as standalone control or as an addition to control from an operator chair. Remote access to hardware and software is available via the remote diagnostics system. This enables quick assistance from onshore experts in the event of a failure. Interfaces MHWirth offers a wide range of interface solutions, and is capable of integrating all kinds of third party systems into our control systems. MHWirth uses the wellsite information transfer specification (WITS) to transfer data between our DrillView™ system and various third party service systems. Typically systems such as mud logging (ML), measurement while drilling (MWD), coiled tubing (CT) and electrical wireline logging (EWL) are used. A wide range of interfaces to other third party control systems are also available. This includes safety and automation system (SAS), vessel management system (VMS), information management system (IMS), variable frequency drive (VFD) and motor control center (MCC). Interface to and the usage of tools such as down hole simulation (DHS) and integration of electronic well plan will contribute to improving operational efficiency. Our Riglogger™ technology will enable services such as performance optimization and a transition to condition based and predictive maintenance. chain or belt driven drives. Our AC water jacket motor reduces noise to less than 85 dBA and the hydraulic quick release system allows fast and safe replacement of fluid end parts. We deliver mud pumps with a maximum discharge pressure of 10 000 psi and with various skid arrangements for rear or top mounted motors, we have a configuration to meet every on- or offshore rig arrangements. 8 | Drilling Fluid Processing and High Pressure Manifolds Bulk Storage and Transfer Systems MHWirth’s bulk storage and transfer solutions are optimized for high transfer rates and ensure operational efficiency in both on- and offshore operations. Our tailor-made bulk storage tanks allow for size optimal use of the given volume requirements. The high emptying efficiency of our tanks increases the operational volume and maximizes the transfer rates. Our HSSE mindful dust collectors and filtration systems ensure a dust-free transfer without the worry of environmental pollution. Drilling Fluid Additive Systems MHWirth’s drilling fluid additive system allows for the dust-free handling of additives and meets the highest HSSE and efficiency standards. Our sack cutting units are equipped with built-in dust evacuation system covers and are engineered to accommodate multi-layered to poly woven sacks. Our surge tanks, with feeder, allow for the steady adding of bulk materials ensuring reduced settling. 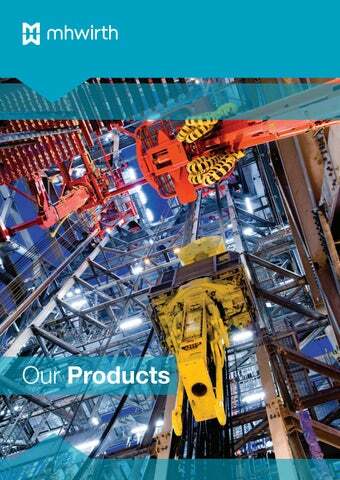 With our comprehensive product portfolio you can achieve maximum operational benefits and reduce downtime. 8 | Drilling Fluid Processing and High Pressure Manifolds Drilling Fluid Management System Mud Control System MHWirth’s drilling fluid management system is used to create an automated and controlled operation of all drilling fluid processing. HMI screens in the mud control room provide a safe and controlled environment for personnel to monitor mud mixing, bulk storage and transfer management operations. Our solution is highly flexible and designed to integrate into different modules within the drilling fluid processing system and also third party equipment. Working on the same platform as the DrillView™ system, our solution provides you with the ability to monitor operations from one central location. 8 | Drilling Fluid Processing and High Pressure Manifolds Solids Control Systems MHWirth’s solids control systems separates drilled cuttings from the mud. Our solutions are highly flexible and integrate into both proprietary and third party equipment. We provide solutions for recovery of lost circulation materials and triple deck shakers. Our comprehensive product portfolio consists of everything from the shakers, gumbo conveyors and degassers to cutting screw conveyors. Waste Management Systems MHWirth’s waste management system provides for the safe transport and handling of cuttings. We provide highly flexible solutions that facilitate the integration of our systems into third party equipment. Including cuttings re-injection units, injection HP pumps and tank cleaning packages, our waste management system portfolio can meet the demands of today’s operations with HSSE in mind. 8 | Drilling Fluid Processing and High Pressure Manifolds High Pressure XTRM™ Gate Valves The MHWirth XTRM™ Gate Valve products offer an advanced and robust pressure control solution to the industry. Designed for use in extreme service, our XTRM™ valves meet the most challenging environments in the modern oilfield. Our XTRM™ Gate Valves are suitable for use in multiple environments including drilling, production, fracking, well testing and subsea applications. 9 | Risers Drilling Risers During subsea operations increased efficiency and uptime and safe equipment make the difference. Our drilling riser’s open and close operations increase uptime by taking the connection time down to a minimum and out of the critical path. MHWirth’s drilling risers do not require heavy tools to connect or disconnect the riser during tripping operations drastically reducing the risk of personnel injury and improving the overall work environment of the rig. Bolts and preloading the connector are a thing of the past. Our drilling riser connector is positively confirmed closed or open by an index pin; increasing the safety of riser connection operations. China Int. Offshore Oil Corp.